Retired in 1990 after receiving compression fractures of my disc from a airplane crash. 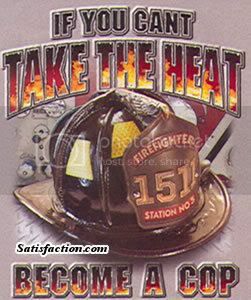 I enjoyed firefighting more than any job I have had or ever will. Past advisory board member of the West Virginia Professional Firefighter Association and Vice President of the West Virginia Professional Firefighters Association For more years than I care to admitt. feeling of accomplishment with no thanks needed. Hi!!! yes im still alive...haha wow long time i didnt enter this site... Good to know u check on me once in a while..
Nice site brother Dexter Happy Thanksgiving too ! stay safe Godbless. Hello, Your profile reading is inspiring and I hope some young men and women read it and follow your mission level work. Hey Dexter, I finally joined the nation. This thing is huge. Hey man hows it goin.